Togarikalu Masala vada/Tuvar Vada/Green Pegion peas Fritters is a yummy as well as a healthy snack for your kids to munch on. Pair these fritters with tomato sauce and see how the bowl turns empty. 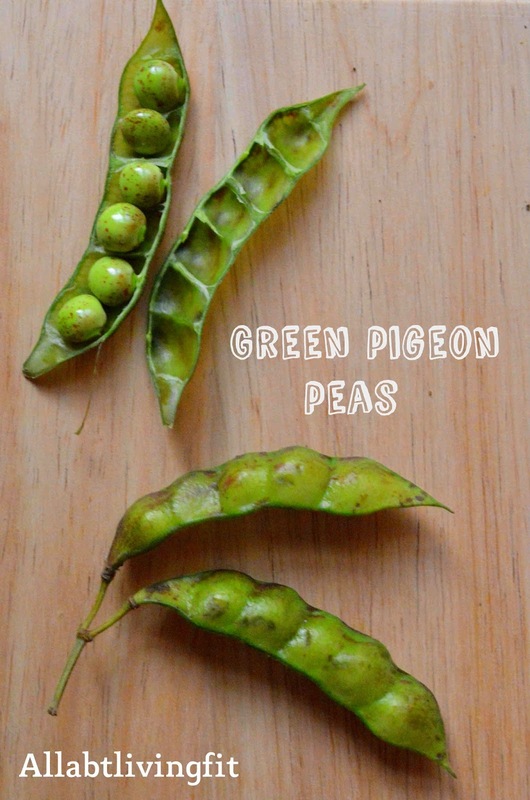 These nutritious Togarikalu/Tuvar/Green pigeon peas are the fresh form of toor dal which is so famous in Karnataka. When the togarikalu season comes, you can see almost all of the vegetable vendors start selling these greens. 1) Wash and and clean Togarikaalu once. Next, wash and clean the avalakki/aval and set aside. 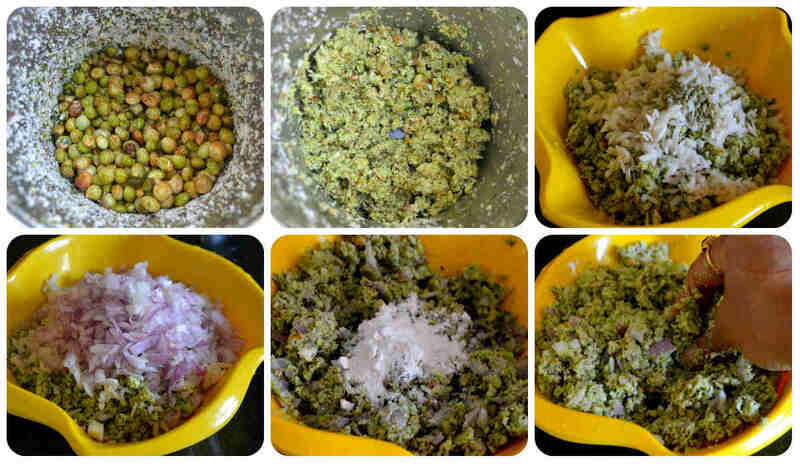 2) Grind grated coconut, ginger, green chilli, red chilli, cinnamon and curry leaves to a coarse mixture without adding water. 3) Add Togarikalu and grind again to a coarse mixture. Transfer the ground togarikalu mixture to a bowl. 4) Add the washed avalakki/aval, onion, rice flour, salt and hing to the togarikalu mixture. 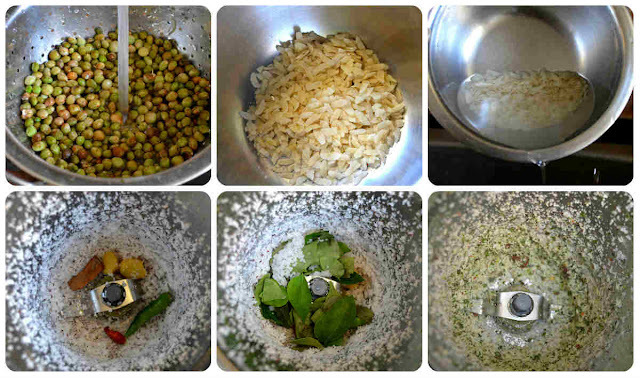 Mix the togarikalu mixture so that all the ingredients come together. 5) Heal oil in a iron kadai, pinch a small amount of togarikalu vada mixture and drop it in oil to check the correct temperature. If it raises immediately then the oil is perfect for frying, reduce the flame to medium. 6) Take a small amount of togarikalu mixture and form a tight ball. 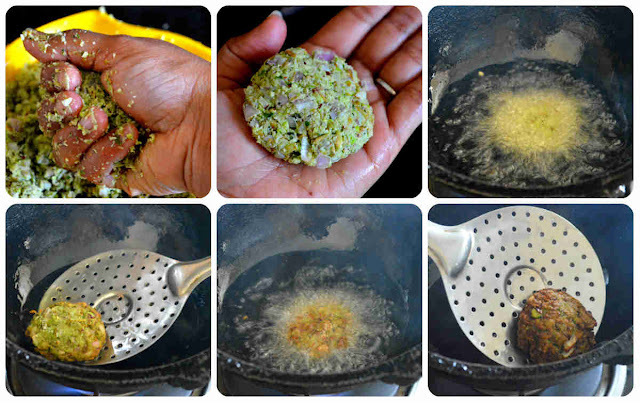 Transfer it to the other palm press it gently to form a vadai shape. Refer the picture for more clarity. 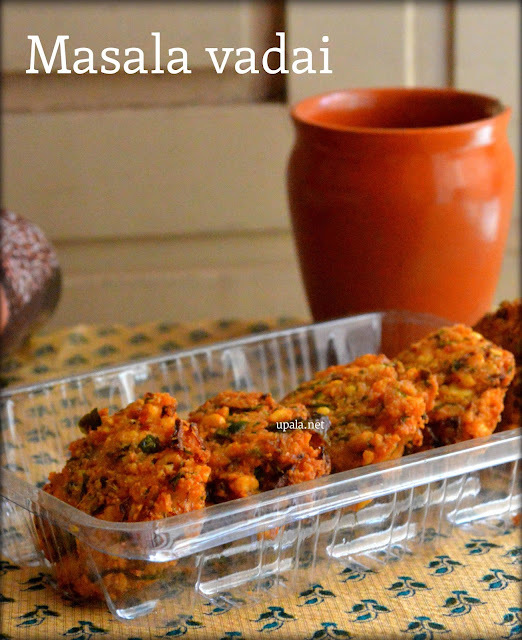 7) Drop this vadai in hot oil and leave it to get cooked in medium flame. Do not disturb the vadai till you see golden brown developing on the sides also the shhh sound reduce. 8) After one side turns golden brown, flip it to cook the other side. When both the sides are cooked, remove from oil and drop on paper napkins to drain excess oil. Repeat the same for rest of the togarikalu vada mixture. 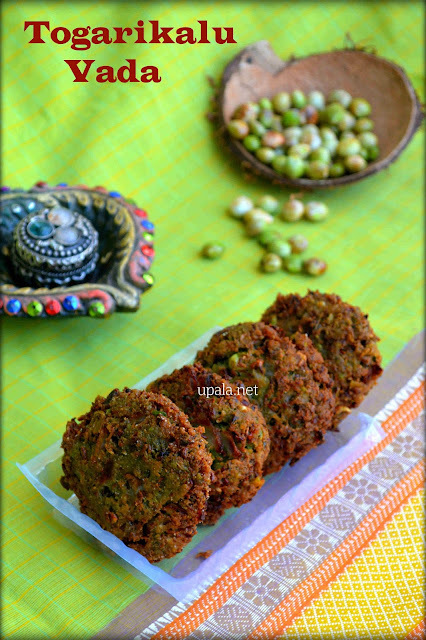 Serve Togarikal/Tuvar/Green pigeon peas vada with Tanggy tomato sauce as an evening snack. 1) You can add equal quantity of soaked channa dal to togarikalu when grinding, if you want to reduce the dominating togarikalu taste. 2) Instead of Cinnamon sticks, you can add 1/4 tsp of Garam masala or cinnamon powder. 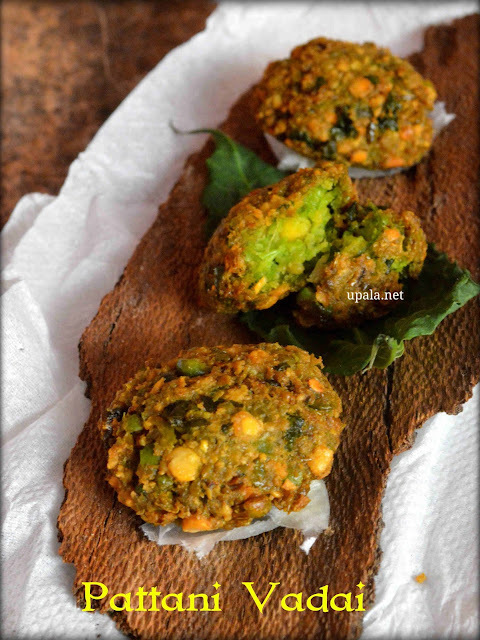 3) You can even add finely chopped coriander leaves or mint leaves to the vada mixture according to your taste. 1) You can mash one boiled potato and add it to the mixture for an enhanced taste.